Travel agents offer their advice. Local nuptials never go out of style, but one fifth of couples are eschewing that tradition for something more exotic. According to a 2015 study conducted by The Knot, destination weddings accounted for 21 percent of last year’s celebrations. With dreamy locales like the soft white sands of Turks and Caicos or the epic snow-dusted peaks of the Swiss Alps as backdrops, it’s really no wonder destination weddings have gained staying power. The process of planning a wedding that’s hundreds, if not thousands, of miles away can seem daunting. There are an abundance of decisions to make and factors to take into consideration. Some couples choose to elope, while others want to be surrounded by their friends and family. 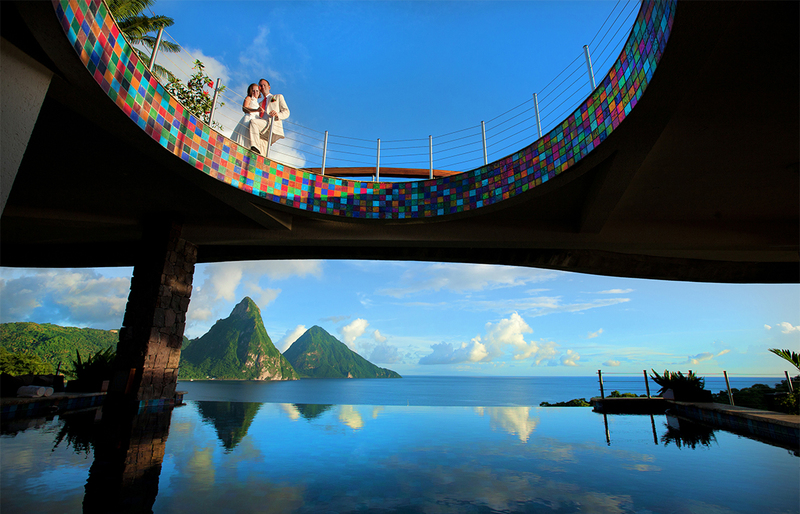 For some, the destination wedding location will also serve as the honeymoon spot, while some choose to go elsewhere. Certain destinations, especially out of the country, have strict requirements before a couple can legally marry, such as blood testing or being present in the country for a certain number of days. Oftentimes, couples will choose to have a symbolic ceremony (not legally recognized marriage) instead. While on-site wedding planners can handle the details of a wedding, like flowers, photographers, menus and more, getting to that point does take work. 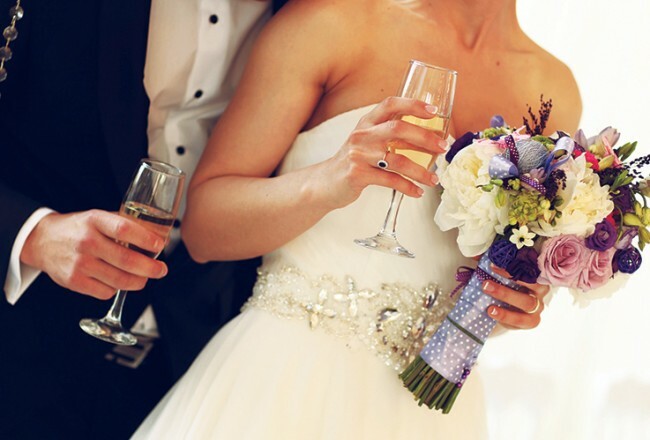 To help navigate the process and ease the stress, travel agents can help organize destination weddings. Whether looking to tie the knot in a castle or in front of the gentle ebb of the ocean, these local wedding planners can help. Once the question has been popped and the fantasy of a destination wedding starts to become reality, there is plenty to consider. First and foremost, “sit down and get a rough idea of how many people you think will go to the wedding,” says Kate Rokosz, manager of group operations for AAA Mid-Atlantic based in Wilmington, Del. As for location, it depends on whether “you’re going to be having a big wedding or something small and intimate. 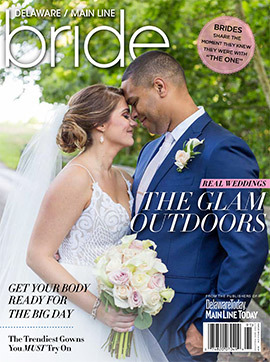 Accessibility is really big if you’re going to have a lot of people,” says Jamie Jones, COO of WhirlAway Travel in West Chester, Pa. Each couple should consider the type of wedding they want, as well. “We tell the couple to plan an event for themselves and not their family and friends. Pick a place that has the amenities they want and plan a day, few days, or week that they want,” says Bob Older of Creative Travel Inc. in Newark, Del. What are some popular destinations? Some of the most popular destinations from the Main Line and Delaware are the Caribbean, especially Jamaica and the Dominican Republic, and Mexico. In many cases, there are legal restrictions regarding marriage. “We recommend that the bride and groom get their actual wedding certificate in the U.S., then have their symbolic wedding in front of guests to avoid extra legal or translation requirements from other countries,” says Older. For couples looking to elope, it’s an entirely different story. “We’ve had couples who have just gone and gotten married. [In that instance] it’s really about what they’re passionate about,” Jones says, noting that couples who elope will frequently go to farther flung locations, especially Europe. Staying stateside is also an option. “We’ve seen a big uptick in U.S. destination weddings—resorts in California and out West,” says Jones. Las Vegas and destinations in Florida are also popular, Rokosz adds. Should we visit ahead of time? Heading to the destination to scope it out ahead of time has its advantages and disadvantages. “It helps to meet with the planner in person and see where you’d be getting married,” says Jones, noting that only about 10 percent of her clients pay a visit ahead of time. For those who can swing it, there are sometimes built-in perks. 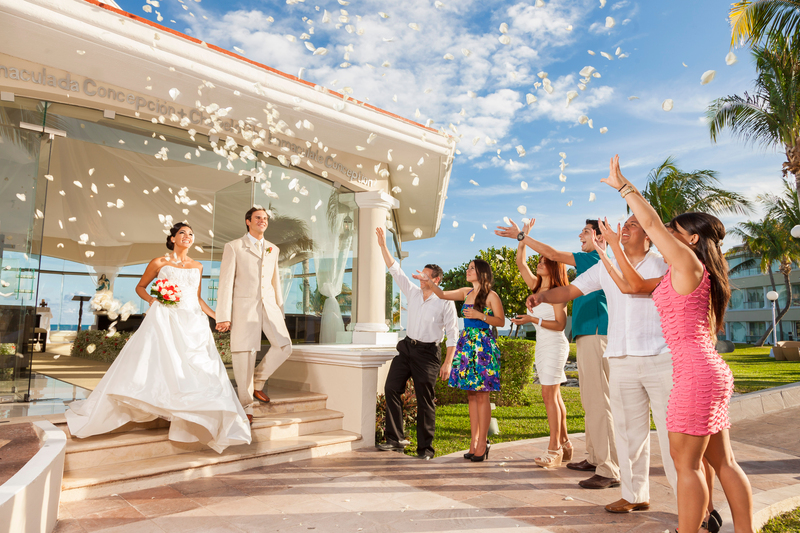 “Some resorts offer a program for the bride and groom to check out the property. There are still some extra expenses they will incur,” cautions Older. When should we plan a destination wedding? Having a destination wedding can lend a sense of flexibility to a wedding. “Destination weddings can be beautiful all year long and can be at a resort, on a cruise, in Europe or other worldwide destinations. The most popular are at all-inclusive resorts,” says Older. “High season is May through July. 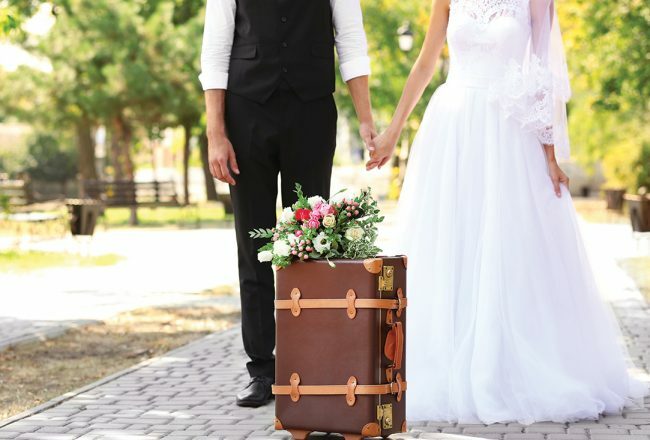 That’s when we see the most people going to the Caribbean and Mexico for destination weddings,” says Jones, who recommends avoiding holidays, which will have increased costs. As for hurricane season, which runs from June through November, most recommend avoiding it altogether, except in cases where a budget won’t allow for another time of year. “Sometimes you can get really good rates and the airfare is usually lower. It depends on what they’re looking for and the type of risk they want to take,” adds Jones. Should we reach out to a travel agent? When? All three agree that about a year out from the intended wedding date is the time to sit down with a travel agent. Travel agents can make the transition for a group simpler, and they have a bevy of connections already in place. “There are always contracts involved, especially if there’s going to be a group. We help them get through the contract process, help negotiate on their behalf, and make everything clear and concise so they know when deadlines are,” says Jones. They can also help couples pick a location that’s right for them. 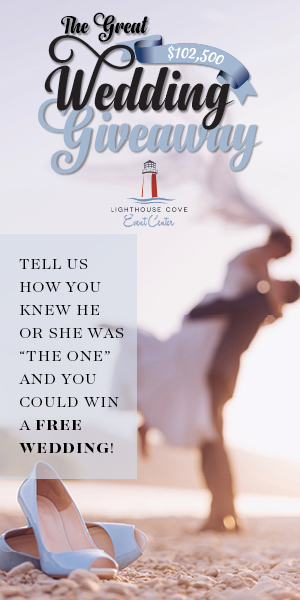 “It’s a matter of asking the right questions—what do they envision for the ceremony, what do they like to do, are they an active couple, a beach couple, are they looking for something romantic? Most people really don’t know what would be best,” says Rokosz. 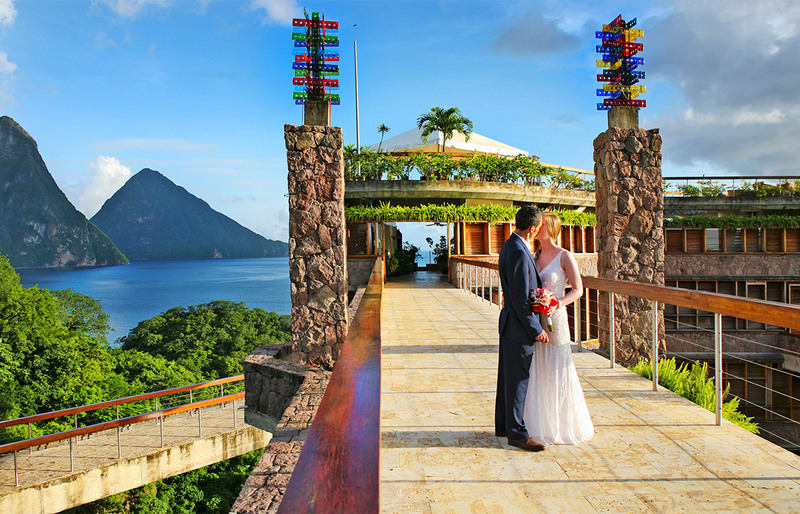 Some resorts offer great deals for couples having a full wedding. “There are a lot of resorts that if you have a minimum number of rooms, you’ll get a complimentary wedding. That wedding is bare bones, so if you’re looking to add on specific flowers, a cocktail hour, a photographer, it starts to add up,” says Jones, noting that destination weddings might run a little less than a typical wedding. But for those looking for just the basics, it can be quite cost effective. “Locally, your cost could run up to $40,000 for a wedding. You could have a destination wedding for $5,000,” says Rokosz. Couples also need to keep in mind their guests’ budgets. Frequently, a couple, along with their travel agent, will offer different lengths of time for guests to stay. “They should probably keep in mind somewhere that’s easy to get to, like Mexico, Punta Cana, or Jamaica,” says Rokosz. By offering a three-, five- or seven-night package, you can cater to the different budgets for your friends and family,” she adds. Upgrades are also available for multiple price points, which the agents can handle. “Even though it’s a group booking, we treat every client as an individual—if they want to do excursions on their own or do something special, we can work with each guest,” says Jones. While it might seem trivial, having travel insurance can really pay off. “We always recommend insurance,” says Jones, who has seen, albeit infrequently, freak accidents that have forced clients to cancel plans last minute. “Even if you’re there, things can happen. You just don’t want to take the risk. For the minimal amount you spend on travel insurance, it’s not worth taking that risk,” adds Rokosz. When should we notify guests? Guests need time to plan and save for a destination wedding, so giving ample notice is important. “Let your guests know,” Jones recommends, even if it’s just a save the date. But don’t give too much time. “Couples want to give all of this time, but a lot of people wait to book until it gets closer. Maybe they see how much time they have, maybe they’re waiting for a tax return to come back. For whatever reason, people wait until it gets a lot closer to make their booking. Having six months to a year is nice—they can work out child-care arrangements and time off from work,” says Rokosz. While it varies by resort and country, all three agents suggest the bride and groom arrive a few days prior to the wedding. “You want to meet with the wedding planner, go over final details, make sure your dress gets there and everything is prepared,” says Jones. As for the bridal party, they typically arrive at the same time or a day after the bride and groom. Guests should arrive at least one-day prior, depending on the couple’s plans, especially if they are hosting a cocktail or welcoming party. “If it’s going to affect travel for the group, that’s where we would come in and assist. You’re not on your own trying to make arrangements because something’s been delayed due to weather,” says Rokosz. As for inclement weather at the destination, the on-site wedding planner would execute a backup plan. Should we have a group activity around the wedding? It’s not uncommon to hold an outing for guests at a destination wedding, which travel agents can help plan. Options range widely, “from an excursion, going snorkeling, or taking the wedding party out on the town,” says Jones. 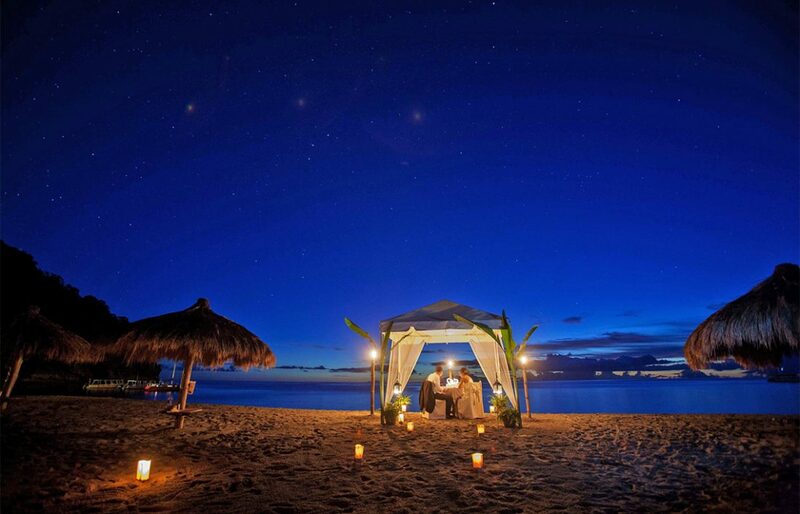 Honeymoons are the calm after the storm of a wedding, a chance for a couple to wind down and spend some time alone. Couples who plan a destination wedding will often stay in the same place for their honeymoon, while others choose to head off on a cruise or fly to a new locale. Wherever that destination is, travel agents recommend it be somewhere neither spouse has been before. What are some hot destinations? Aruba, Jamaica, Riviera Maya, Punta Cana, Italy, South Africa and parts of Europe are some of this year’s popular destinations. “Tahiti and Hawaii have been off the charts this year, especially because of Zika,” says Jones. What if we didn’t allocate enough in our budget? “We try and work with all our couples to keep them under their budgets,” says Older. For inexpensive options, Jones has seen couples choose destinations in the continental U.S., or even somewhat-offseason destinations like Portugal in December, when the weather is still nice, but doesn’t attract lots of tourists and is less expensive. How can we have privacy after our wedding? For those honeymooning where they were married, escaping guests after a wedding might be a priority. “Some resorts have a preferred club—it’s a separate part of the hotel. Sometimes there’s a private area on the beach, a private pool where they can escape. We also see the bride and groom get married and then go to another resort for their honeymoon,” says Jones. Choosing a company with multiple resorts with cross-privileges is another option, adds Rokosz. Over the past few years, honeymoon registries have grown in popularity. They allow a couple to enjoy a luxurious experience that they might not splurge on themselves. Registries vary by company, with some charging a fee. A couple will put down items, such as an upgraded room, an over-water bungalow, or an excursion, and guests can contribute. Some companies give the money directly to the couple, while others apply it to the actual travel expense. These registries are especially useful for long-established couples that already have a home together. “The honeymoon really is the most important trip of your lifetime,” says Rokosz, so make it memorable.